Would you feel sorry for a factory floor worker who suffered a 10 percent cut to his yearly $40,000 annual income? How about for an executive who lost 10 percent of his $400,000? The answer may depend on how strongly you support a social hierarchy. On average, most people feel worse, overall, for the floor worker than the executive. Still, people's ideology matters. Those who hold more egalitarian views, and thus support a flatter society, are likely to show significantly more empathy for the floor worker than their anti-egalitarian counterparts do, according to new research from the Kellogg School. But the reverse is true when considering the executive's woes: here, anti-egalitarians express more empathy than egalitarians. "The prevailing view has been that anti-egalitarians do not have it in them to empathize, and egalitarians are empathetic toward everyone," says Nour Kteily, assistant professor of management and organizations at Kellogg. But, his research shows, this conventional wisdom paints with too broad of a brush. Everyone has empathy to give out, but the amount they are willing to extend depends on their beliefs about the desirability of social equality and the social standing of the person being empathized with. Kteily and his coauthor Brian Lucas of Cornell University conducted a series of online and in-person experiments that included more than 3,000 participants. In each experiment, participants completed a questionnaire that assessed how egalitarian or anti-egalitarian they were. For example, they were asked to report how strongly they agreed with statements such as "Some groups of people must be kept in their place" or "It's probably a good thing that certain groups are at the top and other groups are at the bottom." Kteily and Lucas started by testing how participants responded after reading vignettes about people experiencing different kinds of harm, such as a lawsuit or loss of salary. Some participants read a vignette where the person in trouble had social or economic advantages, while other participants read about a person who did not have these advantages. In a vignette describing a robbery, for example, some participants read about a wealthy executive whose house was burgled and others read the same story with a school teacher as the victim. Participants then rated how much compassion, sadness, sympathy or concern they felt for the target. When people read about victims with lower social status, egalitarians consistently expressed more empathy than people with anti-egalitarian views did. But when they read about victims with a higher socioeconomic standing, the opposite occurred. Participants who strongly favored a social hierarchy expressed more concern for victims like the wealthy executive than the egalitarians did. The results contradict a common perception—one that is supported by some of Kteily's earlier research—that anti-egalitarian people are inherently less empathetic. "Some time ago we made the argument that in some dispositional sense, it's just who they are—they are generally less empathetic," he says. But this study found that anti-egalitarian people in fact express middle-of-the-road levels of empathy for both sets of victims. Egalitarians are more extreme with their levels of empathy, extending much more to a disadvantaged person than an advantaged one. While egalitarians are, overall, more empathetic than their anti-egalitarian counterparts, Kteily says, "there are certain conditions under which they may be less empathetic than anti-egalitarians." And, interestingly, the research suggests that it is truly the social standing of the person being empathized with that drives this difference. 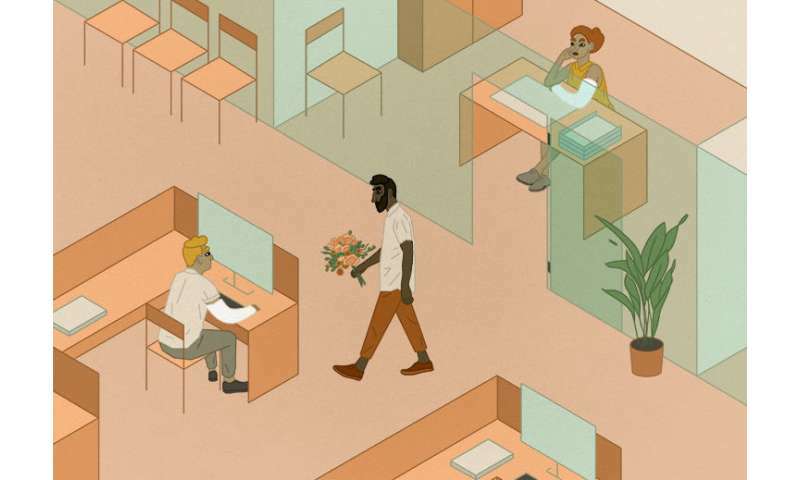 The researchers tested whether it was, instead, a shared sense of values with the object of empathy—one can imagine that an egalitarian would assume they had fewer shared values with a corporate executive than a factory worker, for example. Yet the research showed that this could not solely account for the effects. The researchers suspected that the differences between the two groups are partly fueled by differences in how the groups perceive harm. Egalitarians more so than anti-egalitarians may presume, for example, that a salary cut or burglary will have a larger effect on a low-income worker than a high-earning executive who has many more resources to cope. To understand how perceptions of suffering might differ between egalitarians and anti-egalitarians, the researchers again presented vignettes to participants—but then explicitly asked them to gauge the impact on victims. For instance, in the vignettes about a cut to the salary for either an executive or a factory floor worker, participants were asked: At what point do you think a pay cut would meaningfully hurt this person? Both egalitarians and anti-egalitarians said that a worker earning approximately $40,000 annually would suffer if their pay were cut by 8 to 10 percent. When speaking about an executive earning $400,000, people with anti-egalitarian views considered a decrease of approximately 20 percent meaningfully harmful. But egalitarians didn't consider a pay cut to be meaningfully harmful until the executive was losing one-third of his salary. In other words, egalitarians perceived the executive as having a greater capacity to absorb harm than anti-egalitarians. The effect was not restricted to finances. In one experiment, participants read scenarios about either a factory worker or an executive who missed a flight and thus did not get home for their son's birthday. Egalitarians had less sympathy for the high-earning worker—even though the harm had nothing to do with the person's financial status. However, the difference between egalitarian and anti-egalitarian reactions was smaller than for finance-related issues. Not everyone may think missing a child's birthday is very painful. But few would argue that losing a child in a car accident is less traumatic to a rich person than a poor one. In future work, Kteily plans to assess where people draw the line using this scenario. In the past, researchers shared the common view that anti-egalitarian people are less compassionate and egalitarian people more so purely as a function of their personalities. This research suggests that this "dispositional view" may be incorrect. Instead, it appears that people who favor social equality and those who do not are driven to empathize—or not—as a result of their ideology. Anti-egalitarians may withhold empathy from low-status victims because any harm that befalls such people helps to maintain the social hierarchy, Kteily says. Similarly, egalitarians who believe society needs to be more equal may not see an event that harms a high-status person as harmful simply because it is consistent with their desire to collapse the hierarchy. "Our capacity and proclivity to empathize with others is an important part of what makes us human," Kteily says. "The fact that we bring our ideological beliefs to bear on whose harm we deem worthy of empathizing with—or not—shows just how deeply our ideologies shape us." Are Quebecers irrationally opposed to shale gas? Can narcissists be moved to show empathy?